Minister Derrick Williams was born December 22, 1970 to the late Ms Alice Williams and the late Mr Tommy Blackshear. He departed this life October 17, 2018 at Southeast Alabama Medical Center. Derrick always had a love for the church. He joined Wesley Chapel A.M.E. Church at an early age. Later he joined the Restored House Church of God In Christ where he was ordained as a Minister. 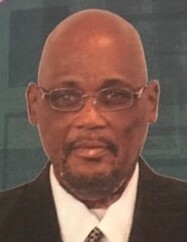 Minister Williams was also affiliated with other churches in the community. In addition to his mother and father, he was preceded in death by one sister, Dorothy Virginia Williams. Derrick's survivors are his eight sisters: Mary N. Davenport Lonzie) of Blakely, Ga.,Geneva Zackary (Anthony) of Atlanta, Ga., Shirley Anita Williams of Americus, Ga, Florence (Anna Lou) Bell and Bobby Ann Frazier both of Ft. Lauderdale, Fl. and Pinkie Blackshear of Hollywood, Fl., Tomeka Candidate and Chekeylar Canidate both of Arlington, Ga. His five brothers: Lester Williams of Blakely, Ga., Larry Williams (Dora) of Atlanta, Ga. Marvin Williams, Phillip Blackshear, and Reggy Williams (Brenda) all of Blakely, Ga. His God children: Shamyaih Canidate, and Jailyn Haynes, One aunt, Dorothy Ann Johnson (Henry) of Ft. Lauderdale, Fl. Five Uncles: Rev. Earl Williams, Quincey, Fl., Sherman Williams and Willie James Williams (Azzie) of Blakely, Ga.;J.T. Williams of Atlanta, Ga. and Charles Williams of Ft. Lauderdale, Fl and a host of Nieces, Nephews, Cousins, and other relatives.